A rather difficult die marriage, with the Newman example being by far the finest. 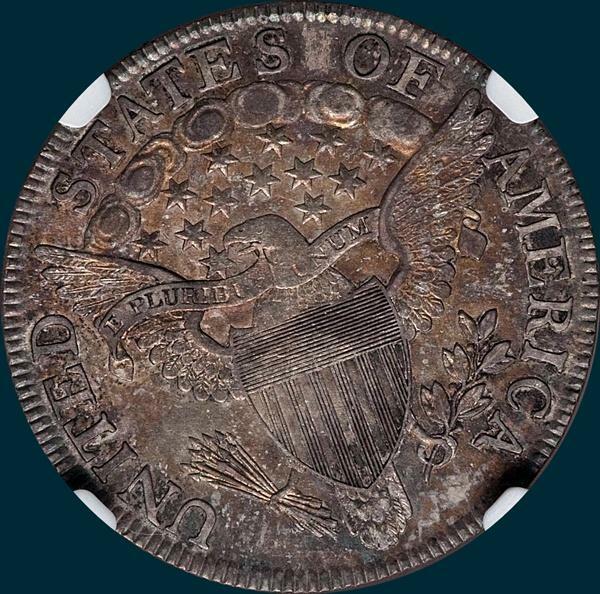 It may be possible that this one is a high R5 as at most it looks like there are 40 examples, but likely closer to 30. 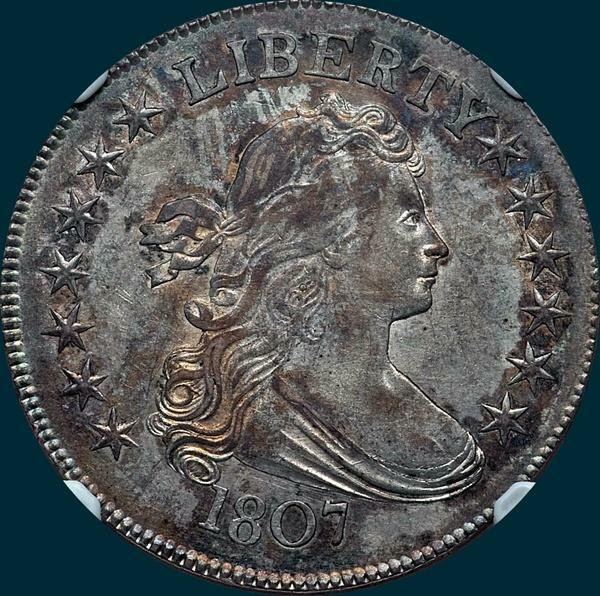 Variety Attribution: Obverse-Stars small and set in from milling farther than most other bust right varieties of 1807. This also bings the first star closer to curl than others. Star 7is 1 1/4 mm. away from L. Star 8 is 1/4 mm. from Y and star 13 is 1/2 mm. from bust. Date is 7 1/4 mm. and high with point of 1 touching curl. Most specimens show a die crack from bottom of 1 through lower loop of 8 to edge of O and running to left outside of stars.